I had some whipping cream in fridge so thinking is there any cuisines I can cook using that. 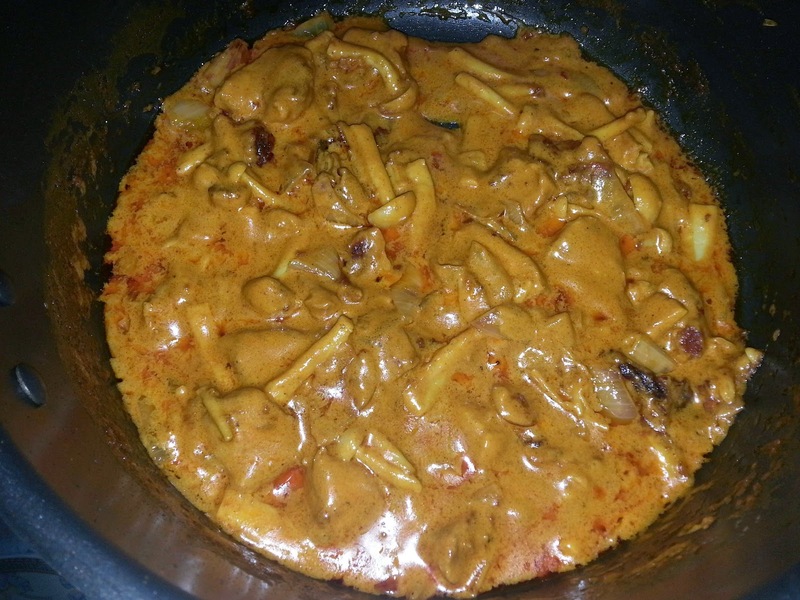 I checked online and found this recipe - Creamy Curry Chicken and it is so easy to cook. I shared with friend for this dish and they said nice but it is scarily oily. So I guess this might be the 1st timw but also last time I cook using whipping cream as normally I won't have whipping cream ready for curry. 1. Melt margarine in nonstick frying pan. Add onion stir fry till slightly brown then chicken to pan, cover, cook for 10 minutes over low heat. 2. Combine whipping cream with curry powder in small bowl, set aside. 3. Turn chicken over, pour curry mix over chicken. 4. Add in the mushroom. Cover and cook an additional 20 minutes. 5. Serve over cooked brown rice.